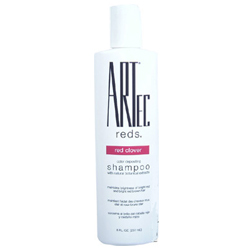 Color Depositing Shampoo with natural botanical extracts. Maintains brightness of bright red and bright red brown hair.Wet hair. Shampoo with Kiwi Shampoo. Rinse. Spread a generous amount of Color Depositing Shampoo between palms and massage evenly through hair. Lather. Rinse. Repeat for additional brightening. 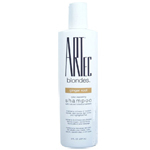 Do not leave on hair.Follow with your Artec Color Depositing Moisturizer Formula. Use Kiwi Shampoo and Conditioner alone at your next shampoo interval. Follow this alternating method until your next haircolor service.CAUTION: This product contains ingredients, which may cause skin irritation on certain individuals. A preliminary test according to accompanying directions should first be made. This product must not be used for dyeing the eyelashes or eyebrows; to do so may cause blindness. If eye contact occurs, rinse immediately with water. Keep out of reach of children.IMPORTANT: Preliminary Patch Test: A Preliminary patch test should be made before application. With soap and water, carefully cleanse a skin area the size of a quarter on the inner elbow or behind either ear near the hairline. 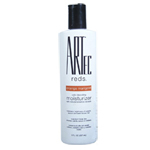 Apply ARTEC Color Moisturizer to the cleansed area with a piece of cotton and allow to dry. Leave unwashed and uncovered for 48 hours. If no sign of irritation or redness appears, proceed with application. Do not use on abraded or abnormal scalp.